I have always admired the way a simple canvas sneaker looks and feels. Sartorially, sneakers are fluently gender and event neutral. They are even part of office attire for those who work in more creative settings. Nonetheless, for reasons I can’t quite explain I had always refrained from incorporating the canvas sneaker into my wardrobe. That all changed back in March when I needed something uninvolved to wear during a 24-hour journey to the Middle East. The whole affair was essentially a throwaway purchase, a netural grey pair on sale from American Eagle for $14. Little did we know, my two feet and the pair of sneakers would spend the next six months inseparable. These days I have graduated to something just as straightforward but even more classic. A pair of Jack Purcell’s. Yet again, for reasons I couldn’t explain I had deemed the style more suited for those who leisurely played golf with their khakis sagging but their cuffs handsomely rolled. They were also the cool guys behind the scenes in that awesome Pharell video. 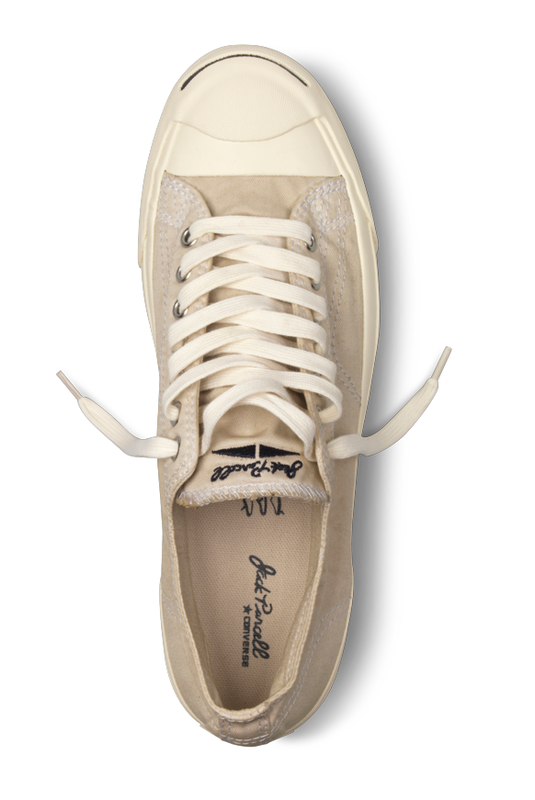 The Garment Dye collection brings forth an immersed profile with an off-white cotton upper and classic rubber outsole. They are handsome, comfortable and ever so versatile. They look absolutely flawless with a pair of khakis or cords, or even suit pants. What’s best about this whole situation is that you don’t have to play golf or be an extra in a hot music video to rock these. The vintage inspired boutique eyewear establishment that we have all grown to love, created this pair of frames that are my most prized to date. The Fillmore is especially created to frame small to medium oval and square faces. The thick frames bring forth a punctuated statement that harks back to that mid century elegance that’s all the rage today. The younger, Rugger sportswear line by Gant presents this look as a part of their Pre-Fall 2011 collection. Employing a cream sweater instead of white and mixed with a solid color, it eloquently signals the shifting season. 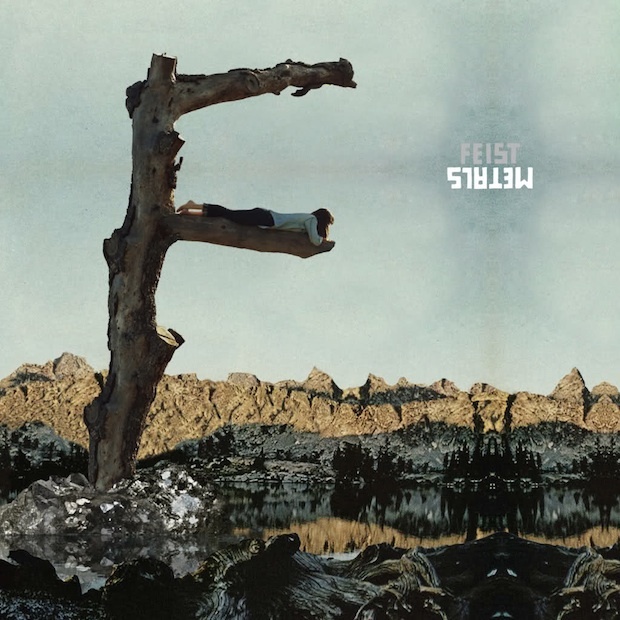 Feist returns with a black and blue ballad that’s steeped in hypnotic forlorn. “How Come You Never Go There” is as moody as it is theatrical. Beautifully written and composed, (“words like a lasso, you’re an instrumental tune”) it is a haunting introduction to the new album, Metals which will be released on October 3rd of this year. 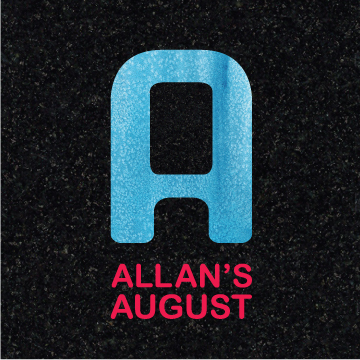 The part Welsh, part Greek outfit returns to the limelight melancholic and introspective. 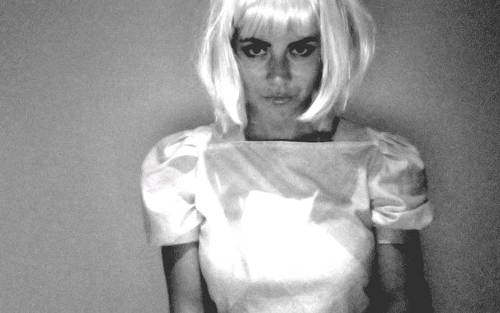 Enter Electra Heart, the protagonist of Marina’s latest, singing “Fear and Loathing,” a number that signals this pensiveness quite hauntingly. Makeup in a hotel bathroom is applied before long black locks are chopped into a disheveled bob. This tune is just as remarkable as the debris of hair freshly cut on her shoulders and neckline. This puts J.Crew’s $150 Timex “brand partnership” to shame. 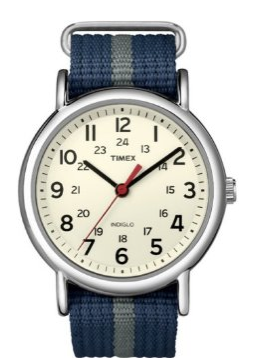 “In good company” does not necessarily mean affordable; and this watch is just as chic and runs about 40 buckeroos on the Timex website.